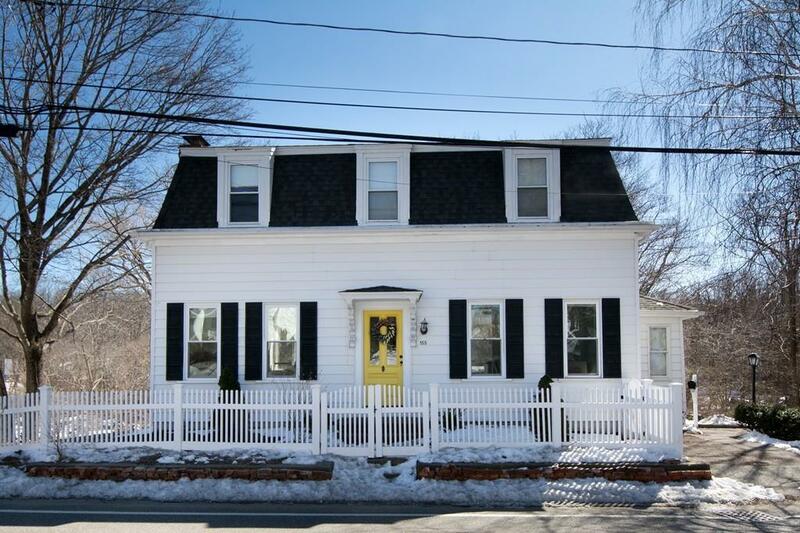 Beautiful turn of the century Mansard roof Victorian framed by a quintessential New England white picket fence offers the perfect blend of the charm or yesterday and today's modern amenities. Stunning front entrance with grand staircase and marble flooring sets the tone for this classic home with an updated vibe. High ceilings (9 1/2 ft), wide pine flooring, custom built-ins and Central Air throughout. Light filled open floor plan is featured in the kitchen/family room with dramatic oversize windows & skylights with ship lap ceiling, center island, stone counter tops, pantry & stainless appliances. Convenient mudroom is located right off the kitchen. Master bedroom enjoys both a full & walk in closet. Relax and enjoy the private backyard from the spacious deck. Ample storage in full basement. Great commuter location close to both train and boat to Boston. Enjoy living in a beautiful coastal community known for its top rated schools, gorgeous beach and quaint village center.